The moment you reach level 85, you may want to take a break from quests for a while. However, don’t take a break for too long because you will have to start running your daily quests. Many WoW players use daily quests as a regular source of income, but if you know how to work the auction house, then you may not need the gold. But every WoW player does need to work on reputation with several of the factions throughout the game so they can earn special enchantments, epic mounts, and rare patterns for their professions. Here’s a quick reputation guide for WoW daily quests. The Sons of Hodir is probably the first faction you should work on reputation for. The Sons of Hodir are located in the Storm Peaks, and they offer enchantments for just about every class. The Sons of Hodir is probably the one faction that can benefit the largest cross-section of characters, and the enchantments they offer can’t be found anywhere else in the game. The shoulder enchants that come from the Sons of Hodir are certainly a must-have item for all characters. One thing to keep in mind about the Sons of Hodir is that it really is only necessary to have one character be exalted with them to get the shoulder enchants, which are bind-on-account. Any of your level 85 characters that are in exalted status with the Sons of Hodir can purchase these enchants for your other toons. However, remember that profession items like the tailoring pattern for the glacial bag and the jewel crafting design are bind-on-pick-up, which means if you have toons that follow those professions, you will still need to earn reputation for them. The Argent Crusade is another large faction from the Wrath of the Lich King Expansion. This faction is a little bit less popular because the reputation rewards are more specific by class. Tanks will want to earn at least revered status with the Argent Crusade so they can get their tanking head enchant. Toons with the tailoring profession will want to reach exalted status so they can learn how to make Brilliant Spellweave. Other than these two items, there’s not a whole lot that can be earned from the Argent Crusade. In addition to completing WoW dailies to earn reputation with the Argent Crusade, you can also purchase the faction’s tabard and wear it in dungeons to earn reputation with the faction. There are also only a handful of characters that will want to seek out reputation with the Knights of the Ebon Blade through WoW dailies. Warlocks with the tailoring profession will want to learn how to make the abyssal bag, a 32-slot soul bag that only warlocks can use. Also melee DPS will want to be at least revered with the faction because it offers the best melee DPS head enchant in the game. The Kirin Tor is another popular faction, and tailors will want to learn how to make Sapphire Spellthread from them. Also all casters will want to be able to purchase the head enchant from the Kirin Tor. 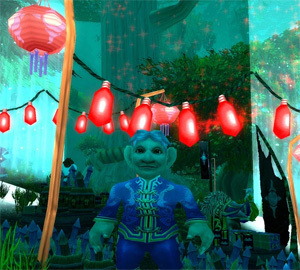 The only WoW dailies that earn reputation with the Kirin Tor are the dungeon and heroic dungeon dailies and the cooking, jewel crafting, and fishing dailies available in Dalaran.